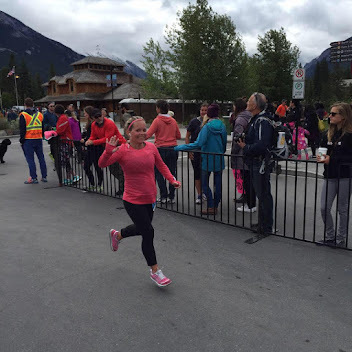 I have been suffering from pain and tightness behind my knee for the last few months. This is one of the many results of a weak hip and other muscles over compensating for it. 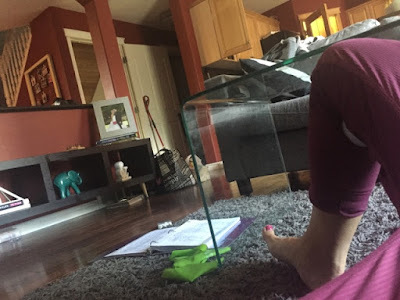 I found something on pinterest about a month ago about using a lacrosse ball to squeeze your upper calf muscles and lower hamstring muscles. I needed to try it so I set out to find a lacrosse ball. 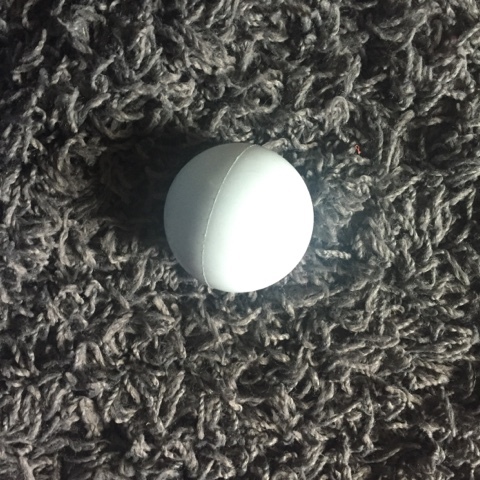 I was legitimately surprised at how hard it was to find one single lacrosse ball in the south. And by south, I really just mean Shawnessy because I didn't look anywhere else. Sportchek had a large bag of lacrosse balls for $25 or lacrosse sticks that came with a ball starting at $40. To me, it was just too expensive. I tried a bunch of different balls out and ended up buying a softball because it fit right where I needed it too, but once I got home it just wasn't right at all. This past weekend, Penelope had a birthday party in Okotoks and we didn't want to drive back home so we hung around the shopping area. Greg wanted to look at what they had for kids bikes since Finley will probably need a 24" bike next summer so we went into Source For Sports. We went upstairs and they had a large assortment of lacrosse balls. Well really they had white and one maybe red so it wasn't a large assortment but most importantly I could buy just one lacrosse ball. I told the cashier how excited I was by this and she said they got a lot of people coming in and buying lacrosse balls for the same thing. Here is a close up of it so you can see where the lacrosse ball goes. It was seriously the greatest feeling ever and instantly made a difference. And here it is with my foot on the ground like it is supposed to be. I am so grateful that Greg dragged me into the sports store because I really didn't want to go in. The lacrosse fits perfectly under my knee and gets it stretched so nicely. I have searched and tried nearly every calf and hamstring stretch on pinterest and nothing got in there deep enough except when I saw Shari and she was able to work it out. 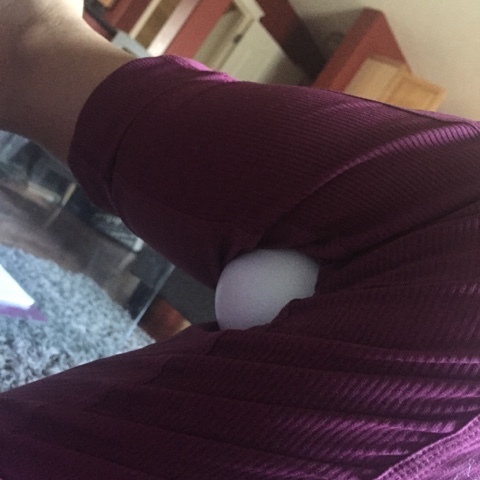 If you have tightness behind your knee, go get a lacrosse ball it's great. And you can also put it under your higher hamstrings while sitting on a chair with your feet on the ground. Put the ball under your hamstring and use your quads to contract your leg up and the ball digs in to your tight hamstring. You can keep repositioning the ball to where you need the pressure. For me, it was the upper part of my hamstring. $5 well spent!